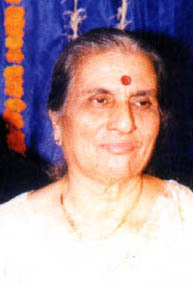 Mrs Paru Chawla was born on 19th July 1932 in Sindh. She was the eldest child born into a middle class family with her father Mr Deepchand Lalwani working in the railways. She was the most pampered child by virtue of being the 1st born and eldest in the family. Her unconditional love for her father is unmatchable and her personality went through a complete change after she lost her father suddenly in the year 1967 when he was just 50 plus,and Paru was in her mid-thirties then. Paru who was an atheist till then overnight turned towards God and Spirituality. That was the time she started reading the “Guru Granth Sahib” at home in the memory of her beloved father nd for 43 years nonstop (record breaking period). she has been doing Chownki and Bhogsahib on her father ‘s Death Anniversary. This unique quality of selfless love to one and all has earned her the goodwill of everbody. While she was busy doing her daily chores, she did not give up her passion of working for her sindhi language. Till today she is always ready and eager to teach Sindhi to anybody. She has been running sindhi classes for last 50 years and she believes that even if 1 person speaks Sindhi then there is no hope lost. Each one can reach one and teach one. 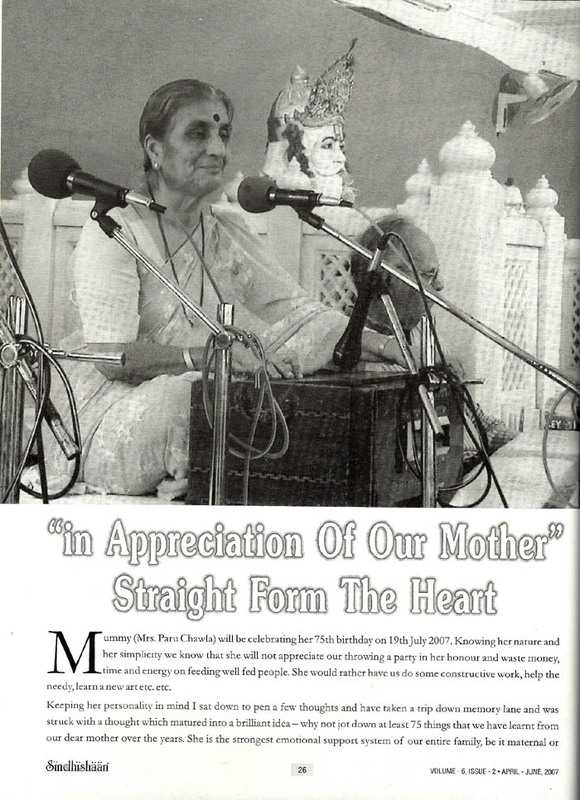 A chance meeting with Dada Panjwani was a turning point in her life as Dada treated her like a daughter and tapped the inner potential in her and introduced her to the world of “Sindhi Kalaams and Sufi Chownkis” and then there was no looking back for her. Inspite of not having any formal training in singing, she became a singer of the masses as she always sings from the bottom of her heart, full of emotion and vibrancy. Her voice has an uncanny resemblance to Reshma, famous Pakistani singer. Paru is the only singer who can quote “Shah Abdul Latif”, “Sachal Saaeen”, and “Sami Sahib” at one go without referring to any book or diary. 1.”Satar Manka: (means seventy pearls) which was a gift from Paru to Thakur on his 70th birthday and it contains 70 couplets of “Shah”,”Sachal” and “Sami” with meanings in simple words. 2.”Sindhi boli roee dinho” is about how the language feels when it is neglected. All that paru has learnt and presented is the outcome of her self study with a keen mind and intellect which is forever hungry for acquiring knowledge in any which way. 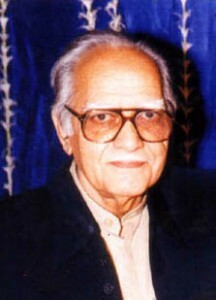 Mr Thakur Chawla was born on 18th Feb, 1931 at Sindh. He takes great pride in saying that he belongs to Darazaa, the land of saints and fakirs. In contrast to Paru’s family Thakur belonged to a rich Zamindar family who rolled into money in those days. He lost both his parents in his early childhood, probably that is one of the reasons why he gives so much importance to family life and adores his children, grand children their families and his great grandchild. In Sindh, he owned a building which was named ”Thakur Niwas” where milk, honey and lassi flowed like water and many poor families were fed by his rich family every day. He was a pampered child, pampered by the worldly riches surrounding him in those days he used to own 150 shirts and 25 pairs of shoes at any given time. His formal education was up to matriculation only as in his youth he had to go through the trauma of the partition and had to flee from sindh in 1948 empty handed. He had never imagined that he would not go back there.It was a shock for him here, new place, new people, struggle on empty stomach. So gradually he started his life from scratch in India. During this period he married Paru(1954) who happened to be his lady luck (like King Midas) and who supported him through thick and thin in his frustrating, struggling years. While Paru continued with her job in the railways, they laid the foundation of Thakurs’s business of manufacturing leather watch straps. But his love for Sindh, Sindhi language and Sindhi culture did not allow his creative side to remain inactive. 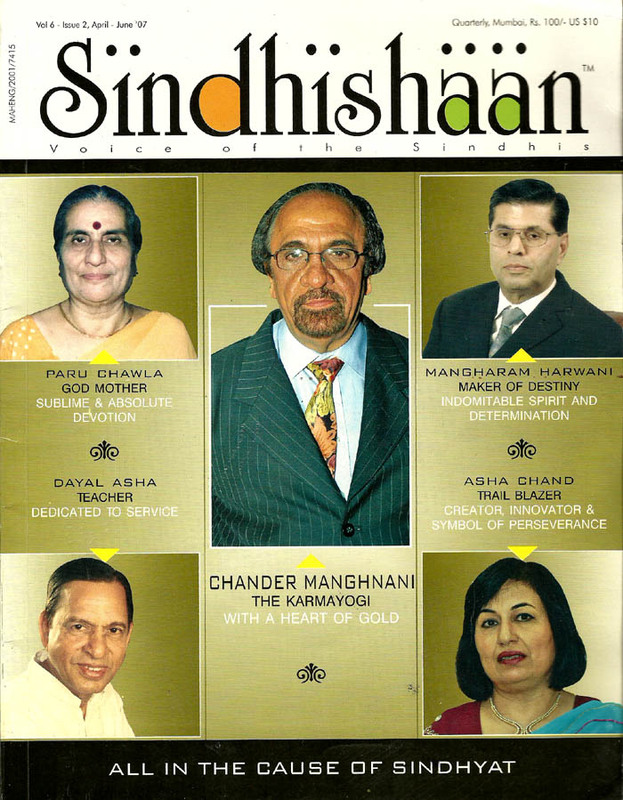 He had an eye for beauty hence the 1st magazine that he edited in Sindhi was called ”Suhini”. Over the years Thakur has become a renowned writer, mainly short stories but each one hard hitting which compel the reader to think.his stories are always based on day to day life or incidents which he observes and puts them into words and expressions in his beloved language. The titles of his books are worth mentioning because they create a curiosity in the reader to pick up and read. Presently he is the editor of the famous Sindhi Magazine “Sipoon” which is well liked by all. Thakur also like Paru was and still is a great admirer of Dada Panjwani and used to attend his Sufi Chownkis in dada’s house on every Monday for years together. ”Paru Thakur Chawla Family Trust” which has formed by Paru and Thakur from their personal savings towards the upliftment of needy for medical and educational purpose. Real the great couple in sindhi community. I have heard that Mr. Thakur Chawla has passed away on 12.12.2013. This is very shocky news. This type of remarkable person is very needy to society. But before almighty god no body can do any thing. Tahnks. OM SHANTI OM SHANTI OM SHANTI Tarachand R Variyani, Deputy Executive Engineer (Civil), Porbandar Port GUJARAT Birth place of mine and Mahatma Gandhi also. RIP Dada Thakur Chawla. We pray to Almighty to Rest your Soul in Peace. Wow! God Bless you both a very happy healthy life together to keep supporting our sindhi language and culture. Your dedicated work is just amazing. We are so proud and Blessed to have such great people in our community. Respected uncle and aunty, I can understand how life feels after our belowed family member.I also faced this thing but got inspiration, emotional and thoughtful support from SADHSANGAT and SHREE GURUGRANTHSAHIB and living happily now and fulfilling my duty towords my family- parents. presently lecturer in engg. college of rajkot- gujarat .GOD bless you and your good activities which i hope brings smiles to so many…..GOOD LUCK. wow, I impressed very hard while reading the journey of paru and thkur. I belong to Moro, about 80 km from Daraza where Mr. Thakur born. I want to make a relation being sindhi with Mr. Thakur and Paru. Will u help me in the matter. I use to visit PANJWANI TRUST LONG BACK AND ENJOYED THEIR PROGRAMMES. Really dedicated couple to comunity. We are proud of them. God bless them together for such work.